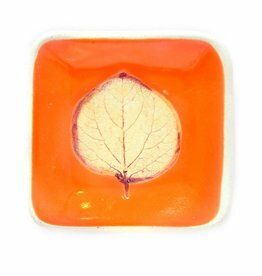 Handmade, hand built dip dish imprinted with an aspen leaf. Quaint, rustic storage for jewelry, salt, pepper, sauces, dips, or a spoon rest. 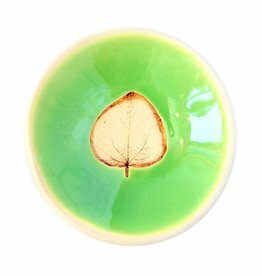 Handmade ceramic dish imprinted with an aspen leaf. The dish is six inches in diameter and slightly bowled.